Man Utd face West Ham on Saturday evening hoping to end a poor run of form which has seen them lose four of their last five games across all competitions. 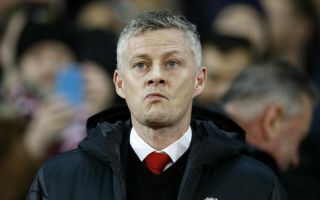 Defeats to Arsenal, Wolves and Barcelona have ended the honeymoon period under Ole Gunnar Solskjaer, as the Red Devils now run the risk of missing out on silverware and a top-four finish in the Premier League. They’ve now dropped back down to sixth in the table, three points adrift of fourth-placed Tottenham, and with just six games to go this season they can ill-afford to drop any more points between now and the end of the campaign. With that in mind, Solskjaer has been dealt a real blow as the club have released an update on team news ahead of facing the Hammers, and it’s expected that up to six key figures will miss the clash. Luke Shaw and Ashley Young are ruled out through suspension, but the Norwegian tactician faces a real headache in that department as Antonio Valencia won’t return in time to feature, although he did suggest that Matteo Darmian or Marcos Rojo could be in contention in his press conference. The issues continue into midfield though, as Ander Herrera and Nemanja Matic are expected to sit out, as will Alexis Sanchez. That in turn should see Fred and Scott McTominay continue in the starting XI, with the latter in particular impressing against Barcelona in the Champions League in midweek. Nevertheless, being without the experience, quality and tenacity that the likes of Herrera, Matic, Shaw and Young bring to the table at such a crucial stage of the season is not a good thing for Man Utd, and Solskjaer will certainly hope that the situation begins to clear up from next week onwards. The Red Devils travel to Spain to face Barcelona in the second leg of their quarter-final tie on Tuesday night, knowing that they must overturn a one-goal deficit while also not losing sight of the task at hand domestically.